Although Lefkada is classed as an ‘Island’, all is not as it first appears! Lefkas island is attached to the mainland of Greece via a small swing bridge and causeway at Lefkada Town in the North. This bridge is raised for ten minutes every hour, on the hour, during the summer to let boats through. It is therefore easy to drive on and off the Island. 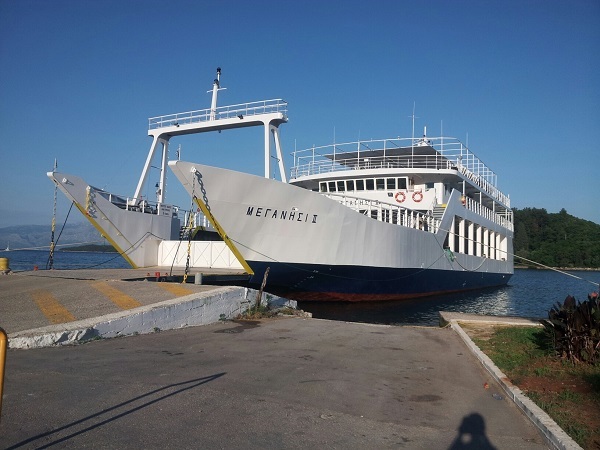 The ferryboat ‘Meganissi’ shuttles between Nidri and the little ports of Spilia (Spartohori) and Vathy (Vathi), on the Island of Meganisi. The journey time is about 20 minutes. The ferry takes cars and foot passengers. For cars, in July and August, it is advised to reserve in advance. For foot passengers this is not necessary. The ferry times between Nidri and Meganisi change through the year. In winter there is usually one ferry in the moning and one in the evening. The frequency increases through the summer until, by August, there is a sailing every two hours from early morning until the evening. Please check times with the ferry company before travelling on (21041) 22530 (they might tell you to contact the Port Police). Or phone the Port Police on (26450) 92509 (they might tell you to contact the ferry company). The ferryboat ‘Captain Aristides’ operates a service from Vassiliki (Lefkada) to the Islands of Keffalonia (Fiscardo) and Ithaka (Frikes) to the south of Lefkas. The ‘Captain Aristides’ carries both cars and foot passengers. Booking in advance is recommended in the high season. The journey time between Vassiliki and Fiscardo is about 1 hour. Important: The ferries from Vassiliki can be delayed or cancelled by strong winds, even inn the middle of the summer. Sometimes these winds can last up to 3 days!!! So we strongly advise that you do not depend on the ferry is you have to take a flight. See the bottom of the Vassiliki page for more information.